This cute baby fox woodland Christmas Tree Ornament is an original miniature work of art! It was hand painted on plywood using acrylic paint and suspended by a red ribbon. The image is varnished. 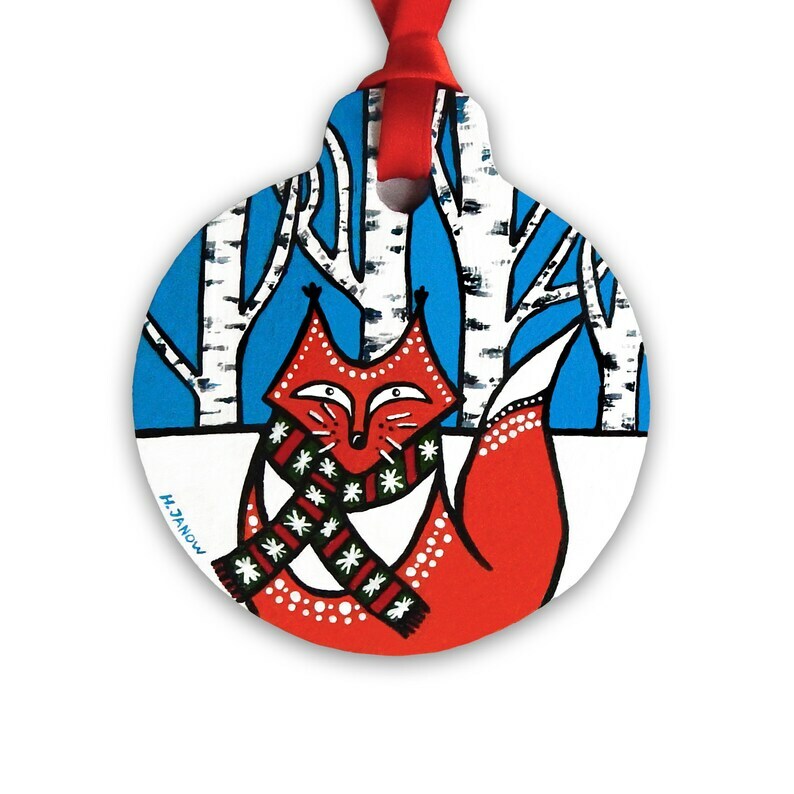 This little red fox is ready to hang in your Christmas Tree or anywhere in your home! Perfect as an original one of a kind gift for baby's first Christmas or any special occasion! Total size: about 4"x3 1/2"x1/16"